Hey guys! 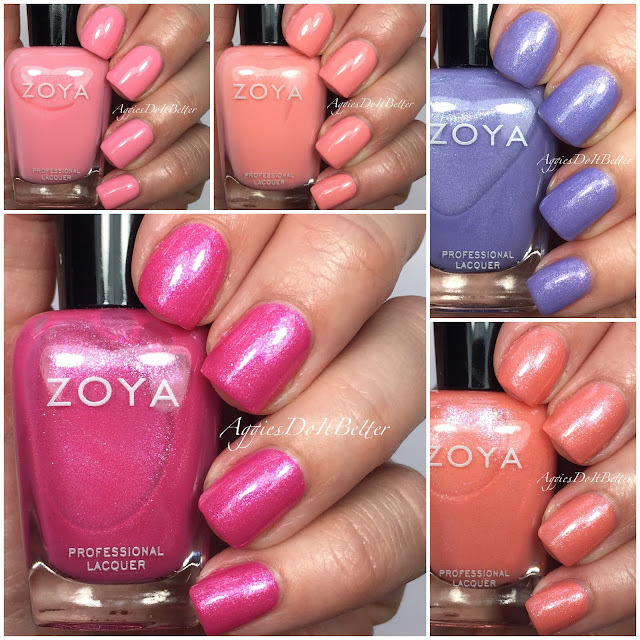 Today I have the Zoya spring collection for 2016 called Petals. It includes 3 strong shimmers, 2 soft shimmers, and a topper. I just realized I don't have the topper in my collage, oops! I have a lot to say about these, so lets just get to it! 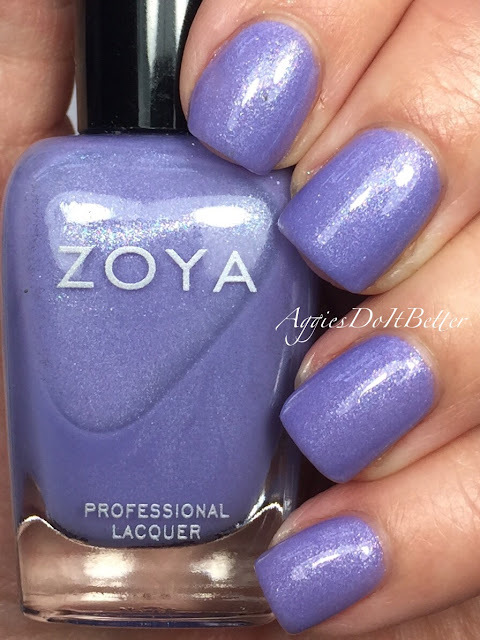 Aster is a periwinkle crème with a strong fuchsia shimmer. The formula is really good, this is 2 coats with topcoat. One tip for polishes like these, be careful not to get it on your skin...that shimmy gets everywhere and it hard to clean up! 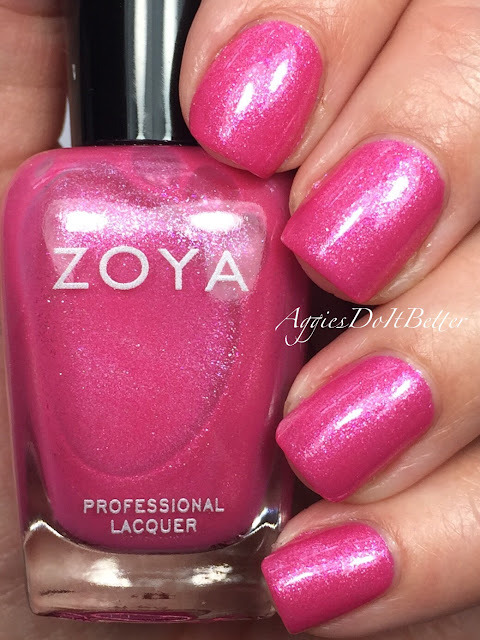 Azalea is a bright raspberry toned pink with a strong fuchsia shimmer. This one is a stunner! The formula is amazing, almost a one-coater for me! This is 2 coats with topcoat. 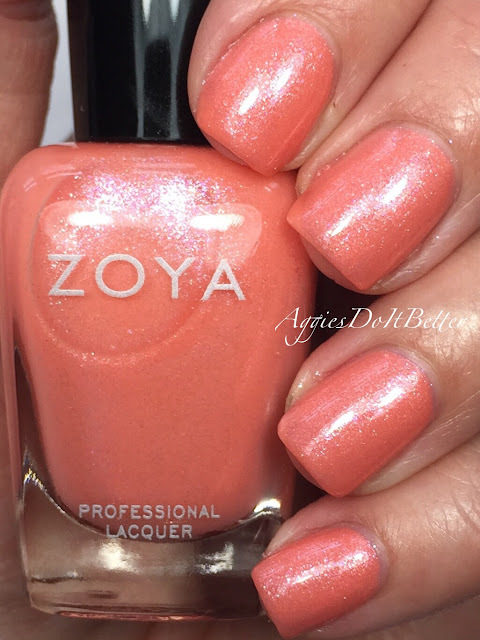 Zahara is an orangy coral with a strong shimmer. This one gave me so much trouble! It was very sheer on the first coat, so I went heavy on the second, and it was still patchy. So I applied a third coat and gave up from there. I guess in the picture it doesn't look that bad but in real life I was not happy with it. Surprising because the first 2 I showed were so opaque! On to the crèmes. 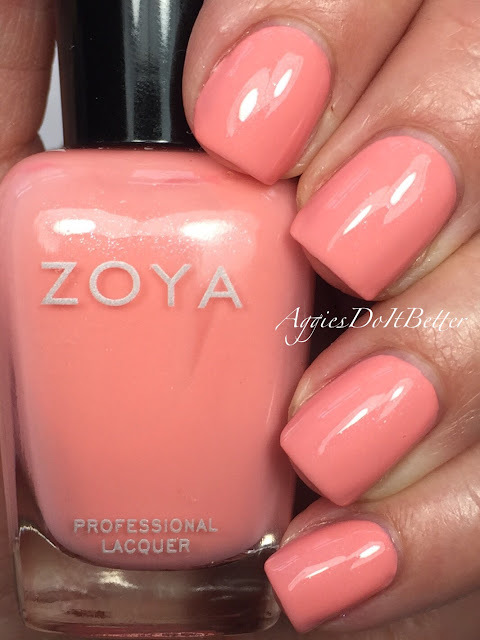 Tulip is peachy coral crème with a hint of shimmer. This one was really streaky for me also, still patchy after 3 coats. Topcoat helped, but still it gave me a lot of trouble. Laurel was the same as Tulip but worse for me. It still was so uneven after 3 coats. 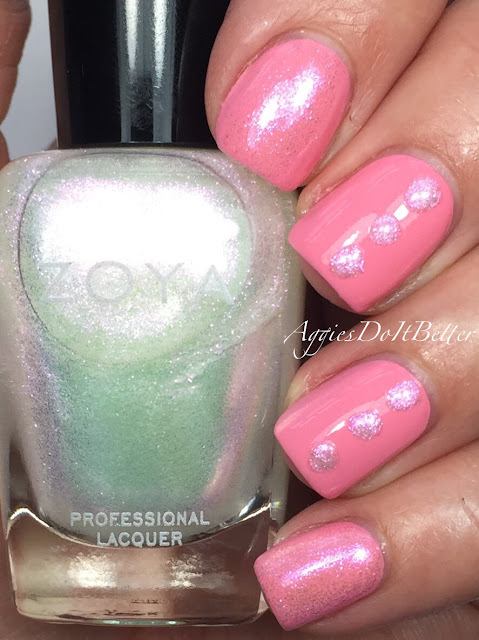 I know Zoya can do amazing crèmes, so I'm not sure what's happening here! It was frustrating! Lastly is Leia, an opalescent topper with flakes that lean purple, green and gold. 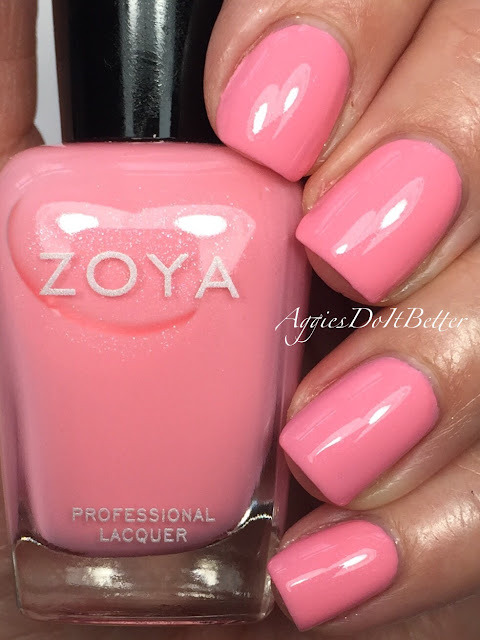 Zoya says this can be worn on it's own, which it could, but I don't think even 100 coats would make it opaque. I have it shown here on top of Laurel. It would be good for bridal looks! All in all, this collection is a very floral color palette. I wasn't expecting to like them that much, because I'm not super into shimmers. But Azalea was a fast favorite for me, the formula is freaking amazing. I would say my picks are Azalea and Aster, the rest get an OK from me. Which ones will yall be picking up? ?